The combination of light pink, florals and lace make my girly heart pitter patter! 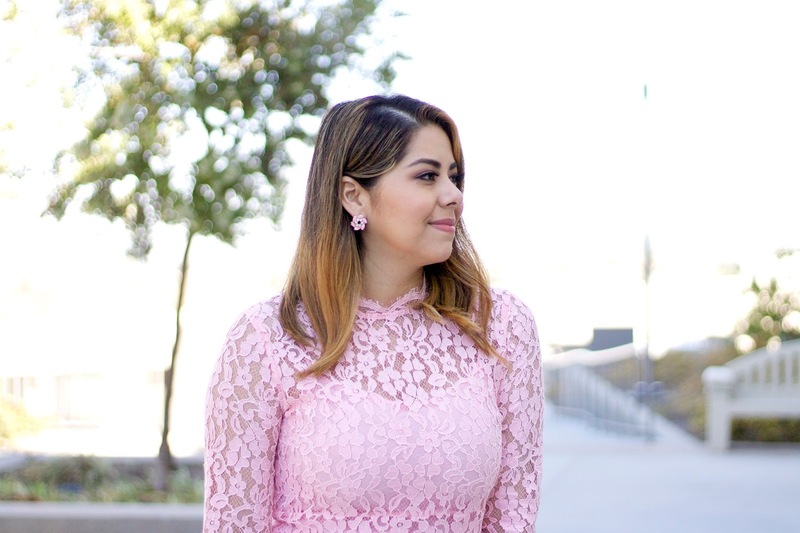 Flashback to last year when I was looking for a dress to wear for my engagement pictures, I had visions of a light pink lace dress that looked sophisticated. Regrettably, at that time I wasn't aware of Chicwish, so I opted for a pink sequin dress, but how I wish I could put this dress in a time machine and send it to my engagement picture session! I'm in this lace pastel kick lately (if you couldn't tell) and can't stress enough how perfect these dresses are to wear as a guest to an upcoming wedding season, fancy bridal shower, or elegant cocktail festivity. Such a beautiful and classy look! Yes, it is true, this dress is gret and You look very feminine - LOVELY! Heels fit dress, good choice.